I woke up this morning by literally falling off of the bed. My first thought was about Mama. Even though my mother left us one week and one day ago, I still feel her presence and, instead of feeling sad or afraid, I feel comforted. I put on one of her sweaters and it feels like Mama’s arms are around me. We have spent the past two days paying tribute to Mama at the Cathedral of the Annunciation. All I kept thinking was “we want to make you proud of us”. I loved the memorial services for my Mom because it was totally her style: in church, with music, with prayers, all done in love and from the heart. On Monday night, when I got up to the microphone to say the Rosary for her, I looked up to find this huge church filled from the front row to the very last row. I almost cried right then because I knew that I wasn’t the only one whose life had been impacted by my mother. I was even more blown away hearing my siblings talk about the most important woman in our lives. Mikey, Marty, and Christy let us all into their hearts for a minute and it was very powerful. Mama always loved to hear her grandchildren sing and Mikey III, Stephen II, and Amy sang all of Mama’s songs in perfect harmony as we greeted folks. Yesterday’s Mass was very special. Our entire family took part in honoring Mama. You better know there was music from start to finish! Mikey and Dad know how to play the mass and we had a combination of songs that Mama loved and songs that we Torres’ have heard our entire lives from attending both English and Spanish Mass. While I already know that my godchildren niece nephews are super talented musically, listening to Mikey III, Stephen II, and Diana sing for their grandmother brought me to tears more than once. Our girls CC, Diana, and Nikki handled all of the readings and our Antonia was one of the altar servers. Very cool girl power that I know Mama would have loved. One of the happiest moments for me was when Kiki told me that she wanted to speak about Mama – my sister was my Mom’s confidant on many things and while she calls it how she sees it with us – she, like Mama, rarely speaks in public and her tribute was very moving. Our godson nephews brought Mama into and out of church. My dad put together the musicians and songs for outside of church and to hear my dad sing “Sin Ti” which was their song along with the traditional “Las Golondrinas” and others made me both happy and sad. 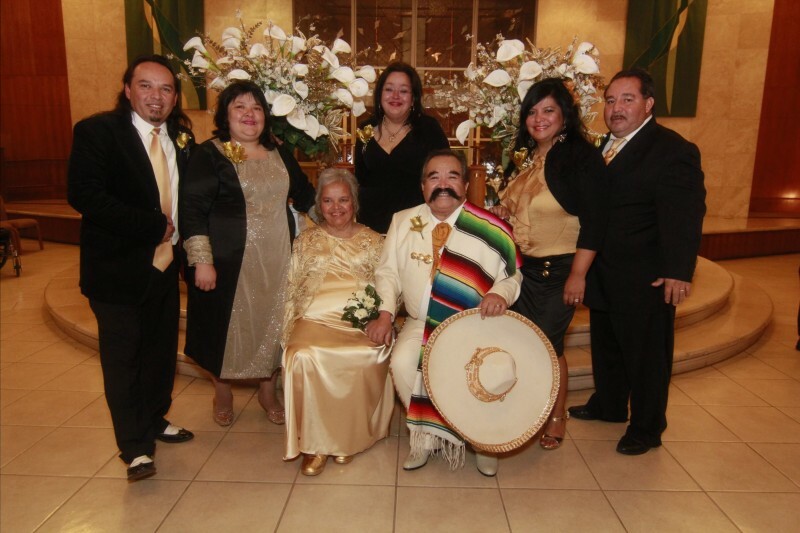 I K N O W that Mama would have loved it — because we were together as a familia just like she taught us. My mother’s life was not perfect by any means and this is how we learned about life, faith, love and togetherness from her. Everything I am, everything I have, everything I know was because of Mama and my Dad. All I am left to do is to try to keep up the traditions that were always important to Mama and to keep our familia united. Forget her? Never. Love her? Always. Mama is with me forever. 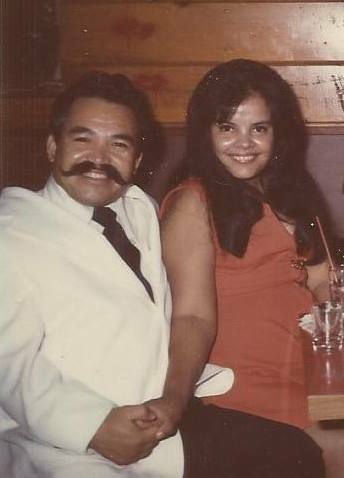 Margaret Mary Grijalva Torres was born on July 9, 1941 to Cruz and Gertrude Grijalva in Amador, CA. After losing her parents early in her life, Margaret was raised by Martin and Frances Hogan in Sacramento, CA along with sisters Cathy and Beatrice. 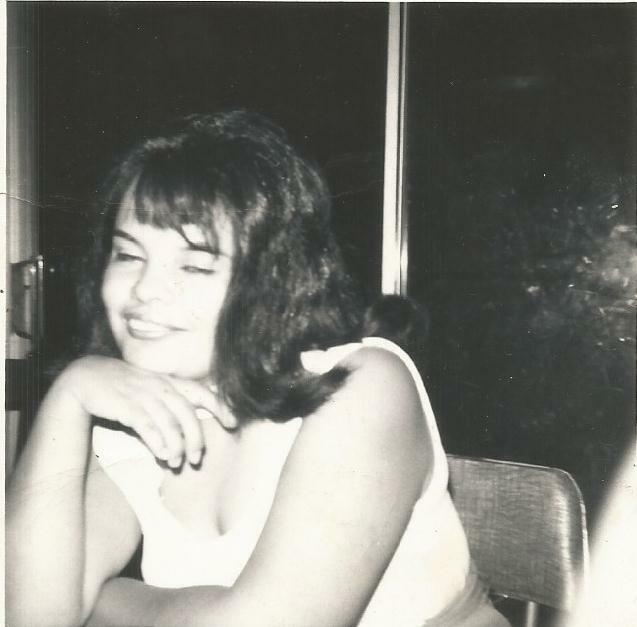 During her high school years, Margaret was reunited with her Grijalva brothers and sisters and spent time with them. Margaret graduated from Edison High School in Stockton, CA in 1961. 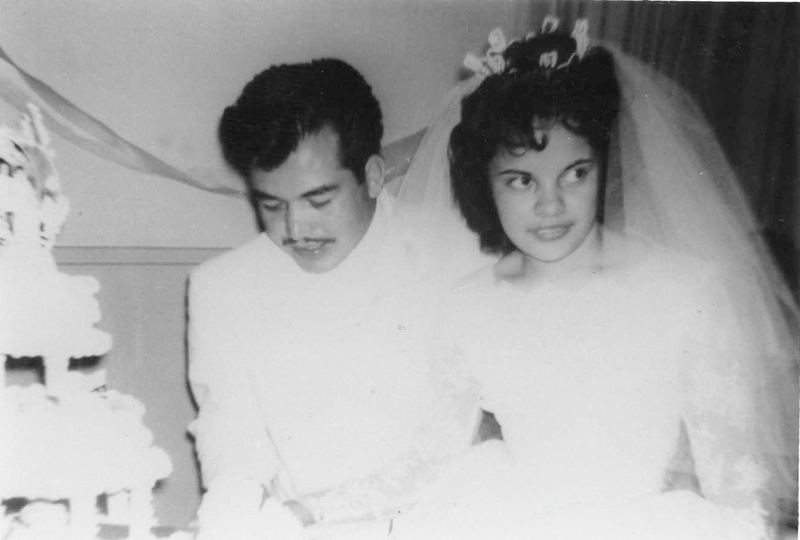 It was in Stockton that she met her true love, Mike Torres, Sr. Mike and Margaret were married on Veteran’s Day, November 11, 1961 at St. Mary’s Church in Stockton. They started their married life in a small cottage in French Camp, CA. Mike was then working in farm labor and as a truck driver and soon Margaret and Mike moved to the Ranch in a small trailer. The Mike and Margaret Torres Family began to grow with the arrival of Carmen Leticia, Alicia Anna “Kiki” and Miguel Angel “Mike Jr”. Margaret and Mike also moved into newly built their home at the Ranch in Lathrop, CA. Within a couple of years, Martin Jose, and Christina Frances Torres were born. Both Margaret and Mike returned to school at San Joaquin Delta College and Margaret helped support the family with her work at Head Start, Pacific Bell, Sharpe Army Depot, San Joaquin General Hospital, and the Family Support Division of the San Joaquin County District Attorney. Margaret was instrumental in the support and formation of Los Rebeldes de Mike Torres, which eventually became The Mike Torres Band. Margaret maintained the band calendar, created the first band contracts, coordinated the band’s wardrobe and guided and protected her little ones, Mike, Marty, and Christina, whom all, at a very early age, one-by-one , became an integral part of the family business. Margaret remained the band’s #1 supporter and fan throughout 40+ years. Keeping her family united was one of the guiding forces of Margaret’s life. 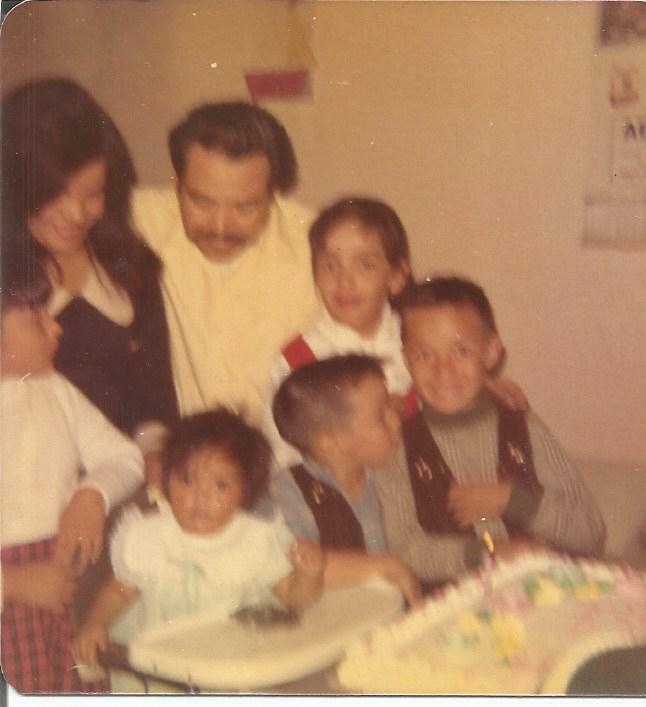 The Torres children received Margaret’s love, affection, and instruction from the very beginning. Margaret taught her children to speak in flawless English vocabulary, to write with her beautiful handwriting, and to speak and express themselves well. More important, Margaret made sure that the Torres family was in church and that the 5 children knew prayers and were prepared for First Communion and Confirmation. As the family was in the public eye much of the time, Margaret was instrumental in emphasizing that all children treat people with respect and good manners at all times. Margaret, for many years, coordinated the ‘Ranch parties’ – birthday parties, holidays, and she worked with the Ranch kids on presenting a Christmas play every Christmas Eve. Aside from this, Margaret helped many of the Ranch kids get through bad times and was a confidant to them for a time. In 1998, Margaret’s life changed completely when she suffered a stroke. Margaret had to learn to walk, write, and learn basic day-to-day tasks all over again. While always faithful and committed to God, Margaret had to use everything that she had been taught and had to search deeper to find the strength to keep going and survive this setback. More than survive, Margaret thrived and was able to live in her home and take care of things on her own. Margaret was able to meet and enjoy her sons and daughter in law, Stephen I, David Sr., and Andrea; grandchildren Diana, Mikey III, Nicole, Stephen II, Angelo, Secilia, Rico, Antonia, and David Jr., as well as her great-grandchildren Angel, Ruben, Aliyah, Yasmin “Yazi”, King Alexander, and Yesenia. A new great-granddaughter, Olivia, is on the way and while Margaret will not be able to meet her personally, she did know and was excited for this new addition to the family. Margaret and Mike celebrated their 50th Wedding Anniversary on 11-11-11 in a great celebration surrounded by their children, friends, and family. It was a time to celebrate the strength and unity of Mike and Margaret’s life together, their children and family. A few months later, it became apparent that Margaret would require more specialized care with dialysis 2-1/2 years ago and Mike and all children stepped up to care for Margaret in the loving manner that she cared for them. Margaret never lost her faith in God and trusted that she was on the path that He chose. Thus, to an extent, Margaret was still able to take care of herself and her home, with help from her family, Dr. Karl Wolf, and the staff at Yosemite DaVita Dialysis. In October of this year, Margaret’s health began to decline and she called the family together. While in the beginning, we did not fully understand that Margaret was beginning her journey back to her eternal home with God, we were blessed that Margaret was able to guide us as we lovingly accepted and completely understood the things to come. Our thanks to Community Hospice for the great support to Margaret and to the Torres family during this important time. On Tuesday, November 11, 2014 at 6:47pm, Margaret Mary Grijalva Torres left us to start her journey with the Lord. Her departure from earth was very peaceful with no pain or suffering with Mike, her children, and her sister Cathy by her side. Margaret left on her wedding anniversary, 53 years to that Veteran’s Day in 1961 when she and Mike began their lives together. Margaret has left a legacy of love of God, family unity and compassion for others and many lifetimes of memories for Mike, her children, family, and friends. While we will miss and love Margaret forever, we are forever blessed to have been able to have been part of her life.